This article was originally posted on Vulcan Post. Are you a good negotiator? What do you do when you want to achieve a goal? The art of negotiating is a tricky concept. It usually puts us in an unguarded position. Face it, every aspect of our day-to-day lives involve a certain amount of negotiation — asking for a raise, selling a car, getting a new apartment, you get the drift. 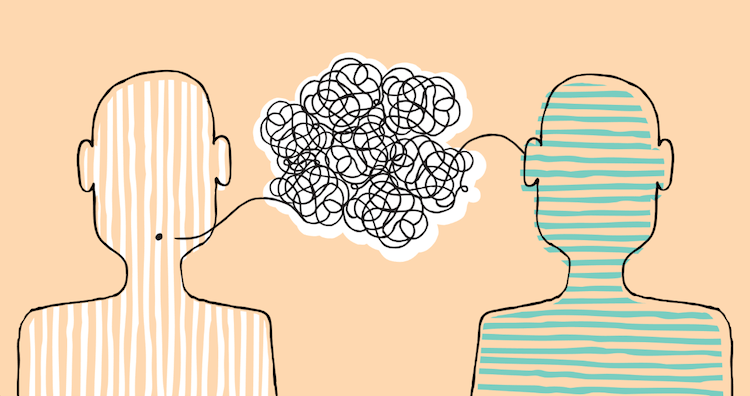 In his book, “When Cultures Collide: Leading Across Cultures”, British linguist and cross-cultural expert Richard D. Lewis talks about his work on global business and provides a guide on communication and mannerisms of each continent. Business Insider has taken the lead to visualise what negotiations would look like when graphed out. 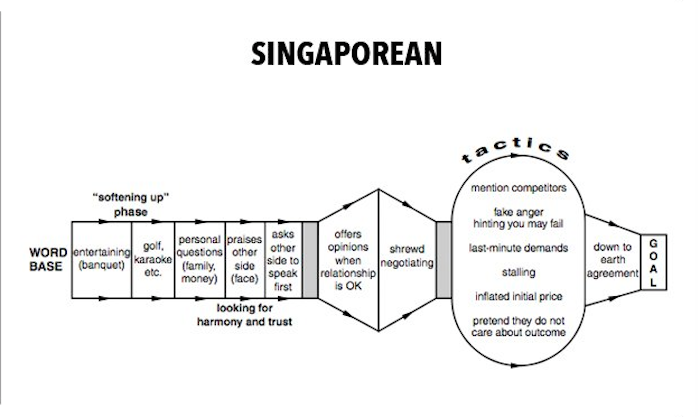 Take a look at the following image of the communication pattern in Singaporeans. Do you agree? As previously mentioned on Business Insider, it “spends relatively little time on today’s emerging markets”. Still, I find myself nodding my head in agreement at the cultural traits of Singaporeans. In our country, we have distinctive groups of different race and religion. It’s intriguing to see how we all come together and have similar conversation scope. I only wonder if the communication chart takes introverts and extroverts in consideration. Are You Guilty Of These Everyday Technology Mistakes? Based on Lewis’s take, we are as different as chalk and cheese. Take the Hungarians, for instance. They have an unpredictable style; they don’t shy away from chiming in. The Finish, on the other hand, are more invested in minimal speech. The Dutch starts their negotiation with ten minutes of social talk. It goes to say that people from diverse backgrounds have different negotiating styles. Our past, culture and experiences make us who we are and how we present ourselves. Do you agree with the chart? You can find the full version here. Are You Smarter Than A Fifth Grader In Twitter?